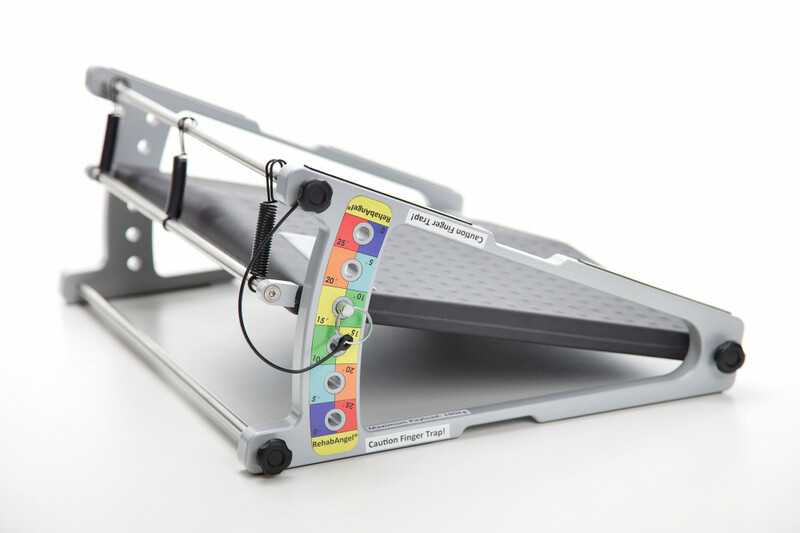 The RehabAngel® is a unique variable incline device that gives greater control and safety for patients requiring lower limb exercises. It was invented by Neil Frame, NHS Specialist Podiatrist in Biomechanics. Multiple treatments using a variety of devices have been recommended with various degrees of success for Plantar Fasciitis. Conservative modalities used to treat such conditions have been highly costly to services. Even with appropriate treatment the condition could become chronic; leading to surgery that has its complications. However, recently it has been identified that the increasing flexibility due to lower limb stretching can decrease the need for foot surgery and significantly reduces the number of failed or serial surgical procedures. Reduces the level of stress on ankle joints. 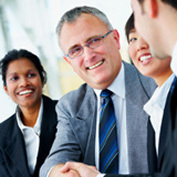 Meets all health and safety and best infection control protocols. Suitable for use in both Sports, Acute and Community health environments. 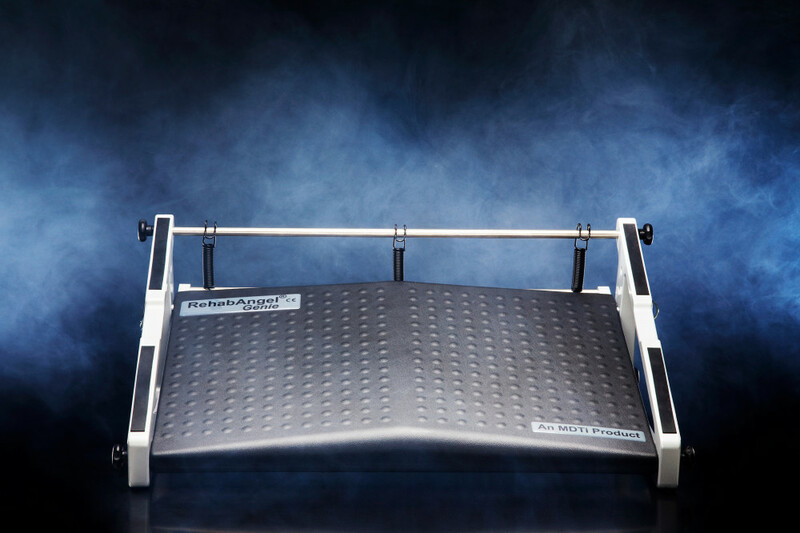 Provides a controlled graduated rehabilitation environment for squatting and stretching tasks. 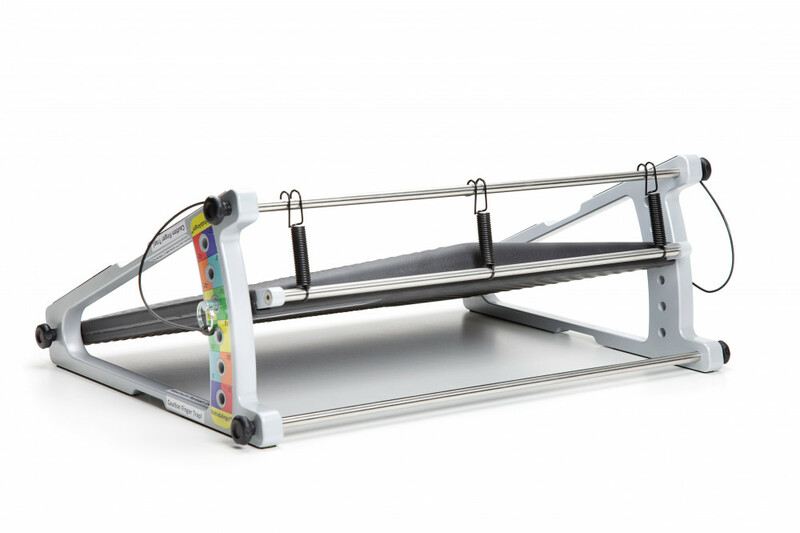 To purchase a RehabAngel please contact our Customer Services on 01902 778 380 or visit our website shop above.